In 2016, community leaders chose to work with the Northwest Open Access Network (NoaNet) to replace an existing radio-based system they used to monitor water and wastewater utility systems. There were dead zones that could not receive signals, Schuh told us. 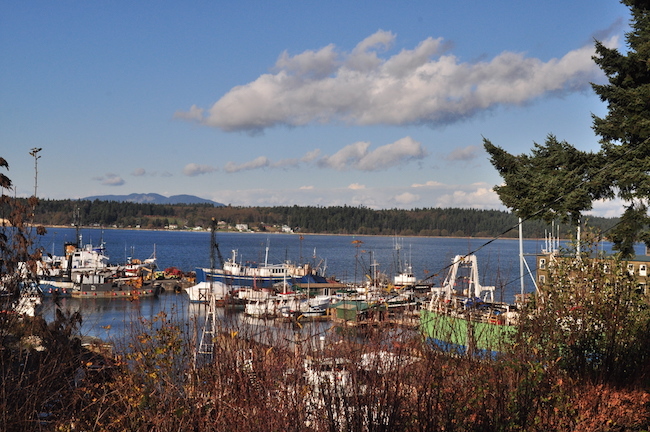 Anacortes became the first municipality to use active water infrastructure to house fiber optic conduit in the U.S. The city’s municipal utilities use the network to monitor the water treatment plant, wastewater treatment plant, sewer pump stations, and other facilities. While the primary intention of the infrastructure centered on utility monitor and control, expanding use to better connectivity for homes and businesses has always been on the table. Before making the final decision to offer Fiber-to-the-Home (FTTH), the city surveyed the community. They received a strong response and the results were more encouraging than they expected. Schuh told us that, out of the city's total 5,500 total utility customers, more than 1,600 responded and were interested in signing up for Internet access from Anacortes when it becomes available. Dozens of people in the community have also signed up to be “fiber champions” to get the word out about the project. Bringing FTTH to the entire community will cost approximately $15 million over the next four years and will connect approximately all utility customers. Anacortes has decided to begin with a $3 million pilot project that they will complete over the next two years with funding from utility reserves. The city also received funding from the Port of Skagit to deploy the original fiber ring. The pilot program, which Schuh also refers to as a “network trial,” will connect approximately 3,000 buildings within the Commercial Business District and nearby areas. In addition to local businesses, Anacortes will connect schools, healthcare facilities, homes, and other premises. The first year of the pilot will require aerial connections and later phases will include areas that need underground placement of fiber. They'll use a fiberhood approach to determine the areas of greatest interest to help guide specifically where future fiber will be deployed. Schuh said that neighborhoods with high sign-ups have been in the more affluent areas that are also the most difficult to deploy. “Rockridge” is an area in Anacortes that is “on a rock.” While they still plan to employ the fiberhood approach, Schuh says that they will need to finesse deployment to contend with the difficulties of the geography. They’ve calculated that a 35 percent take-rate, or 1,925 premises, will provide sufficient revenue to meet their goals. Anacortes has chosen a quick deployment schedule in order to take advantage of existing enthusiasm and momentum. The city looked at potential grants or loans for broadband infrastructure, but they didn’t meet criteria because available speeds in the city meet the FCC’s defined broadband speeds of 25 Megabits per second (Mbps) download and 3 Mbps upload. With Comcast serving much of Anacortes, and most funding aimed at communities that don’t meet that threshold, the city needed to rely on their own resources. Anacortes’s pilot will serve a multi-pronged purpose of bringing better connectivity to the community, helping the city learn the ins and outs of delivering services, and spreading the word about the services available. After the first two years, the city council will also examine the network’s progress to determine how best to fund the remaining deployment. Schuh says that they will likely combine loans, bonding, revenue from services, and revenue they earn from leasing excess dark fiber capacity. Internet access providers in the area that want to reach some of the San Juan Island communities will be welcome to lease dark fiber, says Schuh. They haven’t firmly established rates for residential service, but anticipate offering symmetrical Internet access with 100 Mbps for $40 - $50 per month and 1 gigabit service for $70 - $80 per month. Anacortes is set on establishing themselves as a municipal Internet service provider and remain committed to economic development and excellent customer service. Check out their fact sheet on the project. The city is actively recruiting a Municipal Broadband Business Manager until January 24th. Could it be you or some one you know? Review the employment posting to learn more.